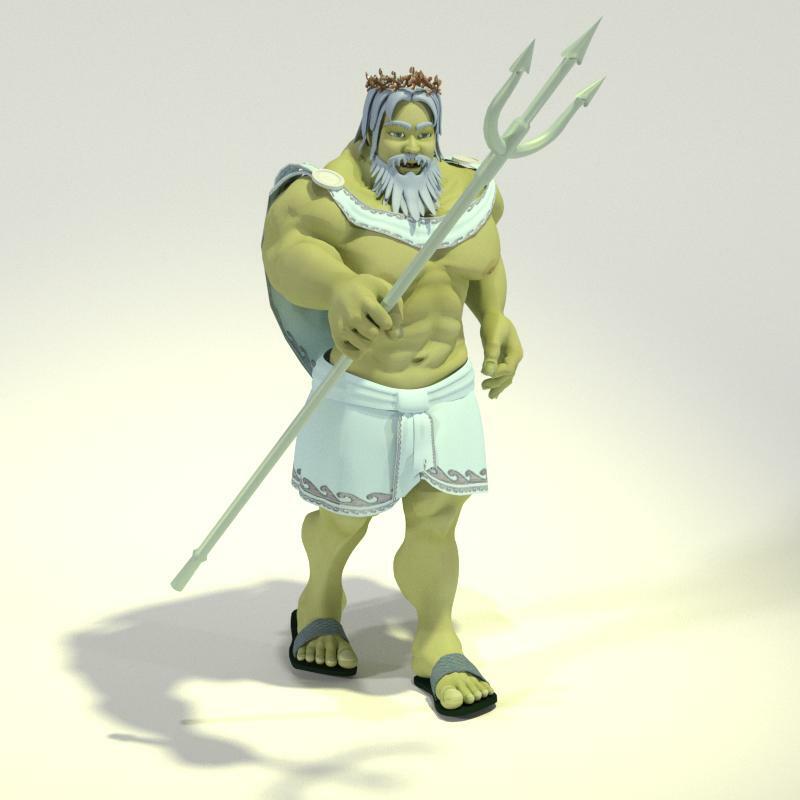 Toon Poseidon is King of the Sea of the Olympian gods and like Zeus is the child of Cronus and Rhea. Now available in the Mirye Software Content Store for Poser & DAZ Studio. Toon Poseidon for Meat works with Poser 9+ and DAZ Studio 4 or higher and requires the male version of Meat 3D. Toon Poseidon includes 20 textures including bump maps. A Poser MAT pose also switches Meat's default 'flesh' colored texture with Poseidon's green flesh texture. About Middle Aged Gods™ Something is wrong in the heavens - gods aren't supposed to be fat, bald and - well - middle aged! But what do you expect when nobody believes in you any more?